Crusaders, sincere apologies for the delay on getting this one out, but we had a great deal of technical difficulty in post production. If you notice anything abnormal in the cast itself, that’s probably why. And by abnormal, I don’t just mean our usual abnormal selves! In this Around the Barrel, we talk through our article about the “science” behind several of the accelerated aging techniques as well as do a tasting of the Small Batch Collection from Jim Beam. 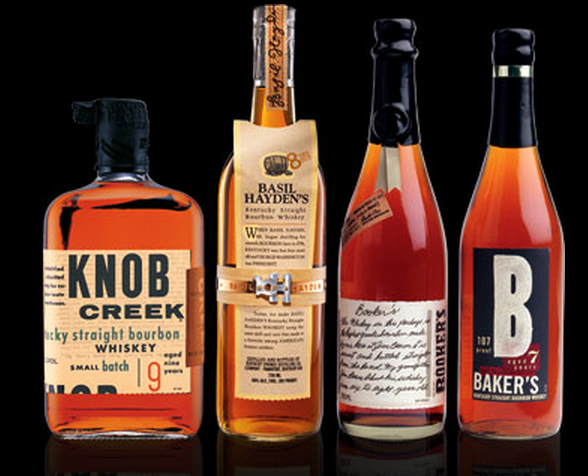 For those of you playing at home, that’s Knob Creek, Basil Hayden’s, Booker’s, and Baker’s. Also, be sure to check out our entries, as well as all the others, in the If I Had a Benjamin series over at Modern Thirst! Basil Hayden’s: 7-8 years old, 80 proof. Rarity: Albino Squirrel.